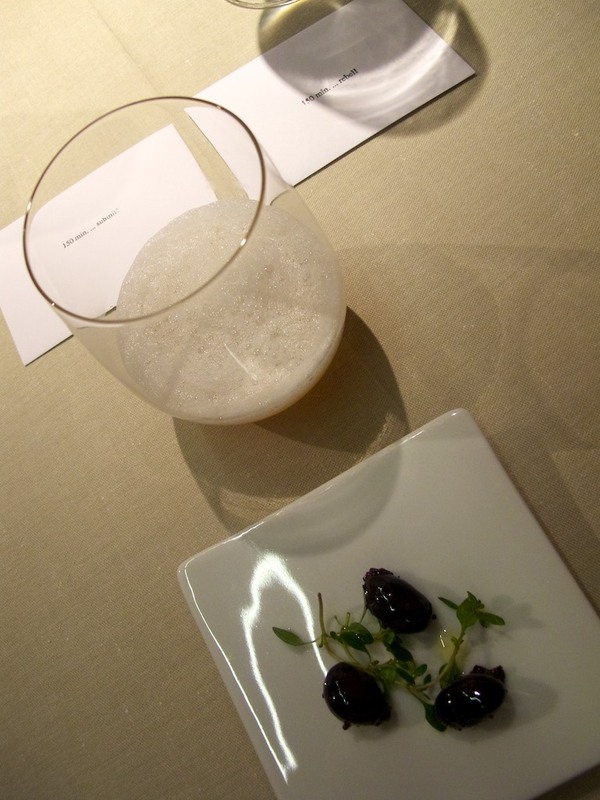 Dinner at Mugaritz was an experience that I shall never forget. 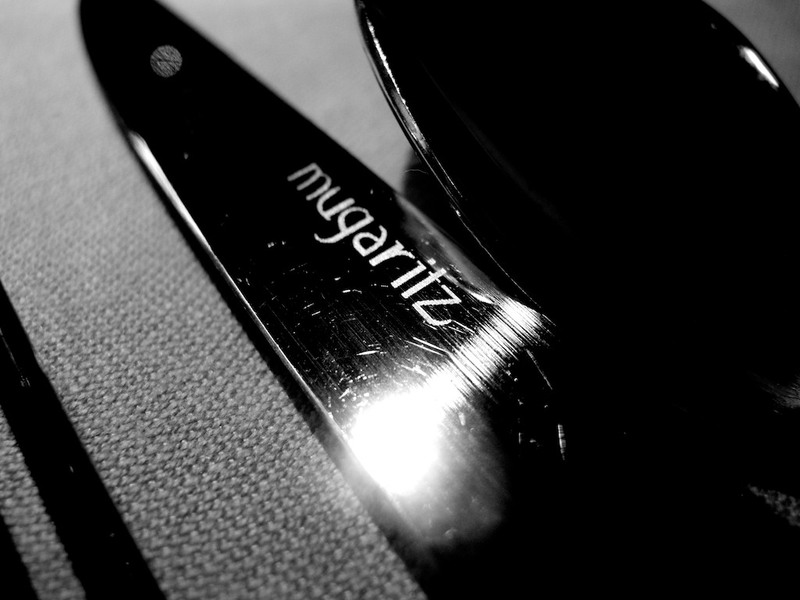 If you think of food as theatre, as an experience, as they do at Mugarritz, then this would be like getting tickets to a very, very special concert. And it was. 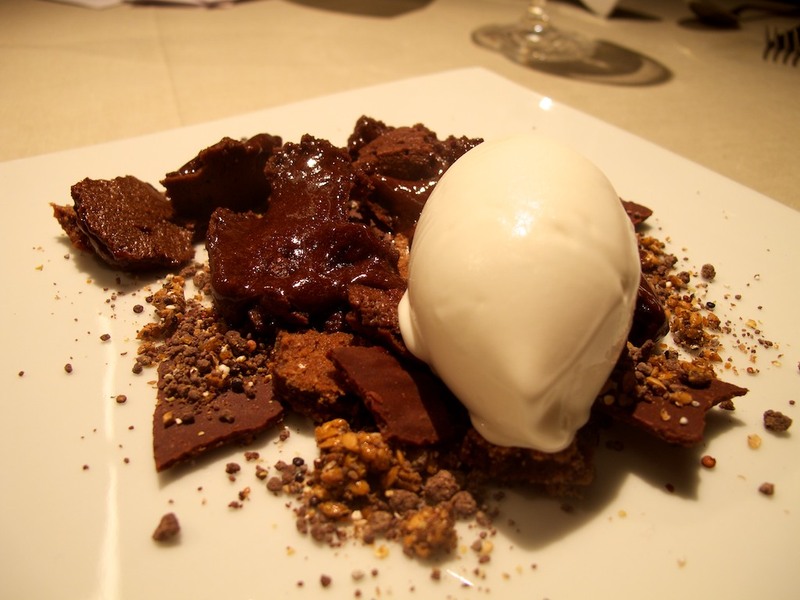 Chef Andoni Arduiz describes his food as ‘techno emotional.’ Located in the hills outside of the city, arriving at Mugaritz is like visiting the country home of a very wealthy friend. He immediately greets you and shows you to your table. 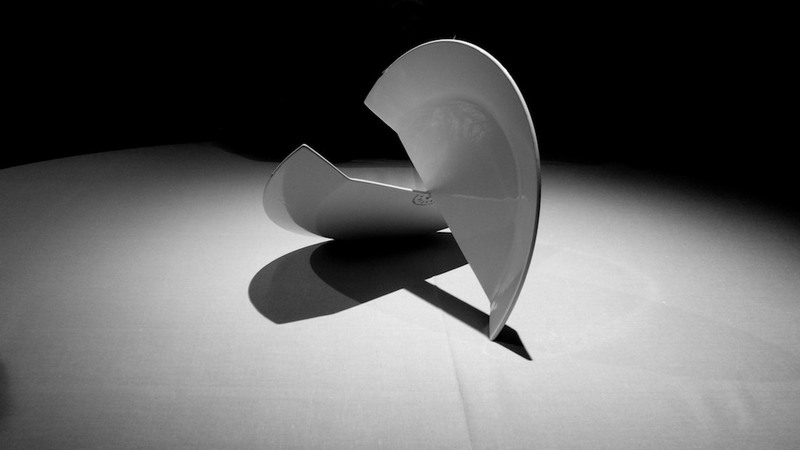 But there are no plates setup, only a broken plate, setup as a centerpiece adorns the table. A menu? Not these friends, who invited you into the kitchen to see how they run their home. They ask for any allergies and explain their philosophy of how they’re going to bring about 18 courses, but if you want more, just ask. Something you don’t like? No problem, just tell us. Then a few moments later you’re back at the table without any silverware. The first few courses are finger food. Oh, yes they are. 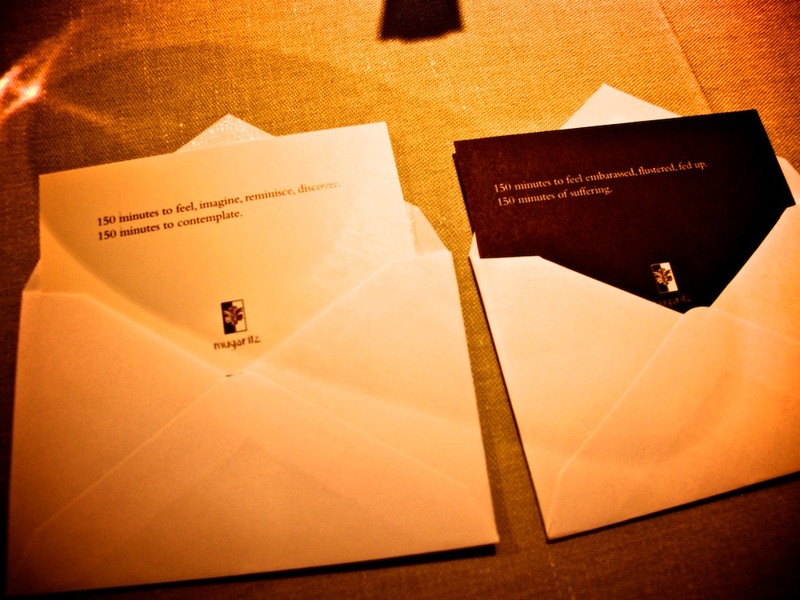 But first, a pair of envelopes. Is this the menu?? The first arrive a few in rapid succession and completely overwhelm you. Jamie was confused and looked a bit nervous. Where is the menu? Will there be anything I can recognize? First course is toasted legume beer, olives, tap beans and thyme; a few sort of olives that weren’t really olives along with a house made beer, that had no-alcohol in it and was served warm. 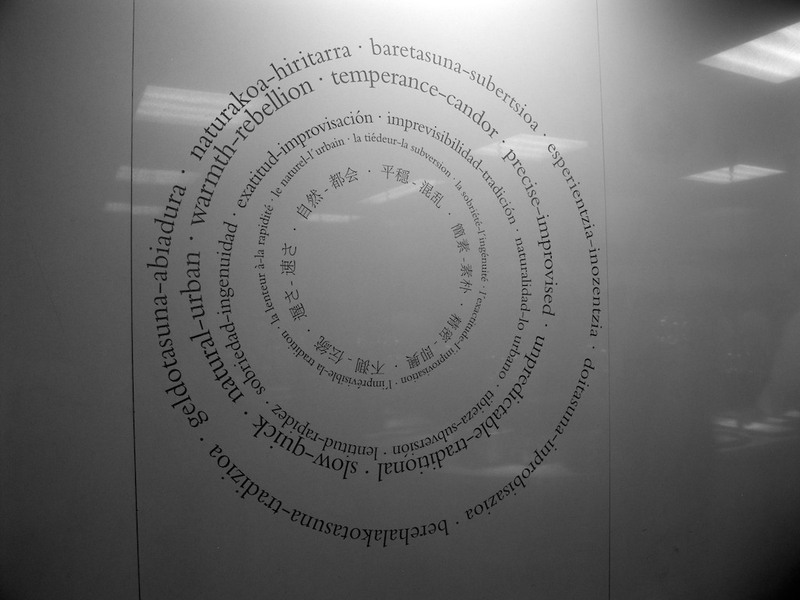 Next up is aromas of our garden; smell sticks: mandarin, followed by plastic looking smell sticks that were edible. Wait, more flying in, or maybe not because it happens so quickly. I regret not getting a picture of this one. An envelope of flowers. They served a little plastic bag, filled with colorful flowers and a peanut butter topping. What the hell do I do with this? Just pop it in your month, silly, it’s candy. Whoa, I’m lost, so confused. Next up, also in rapid fire succession is starch and sugar crystal spotted with pepper praline and corals, it was a small piece of plastic with crab salad, which really just consisted of three dots of reddish goo. Wait, that was pretty good. Actually, it was all very good. It’s hard to really place it because it’s all new. I can tell you whether or not a seared foie or a risotto is good. But there is no reference point for something like this. Are they feeding me or playing a joke on me? 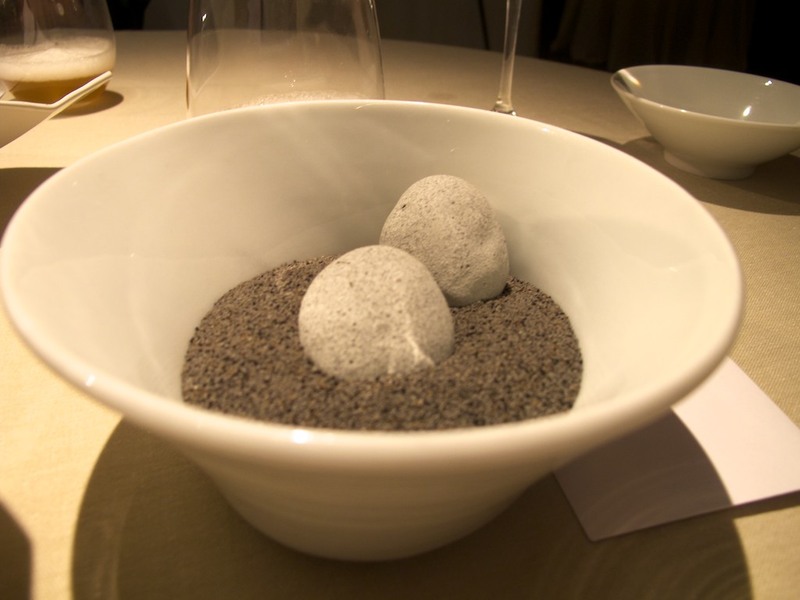 The last finger food course was edible stones. 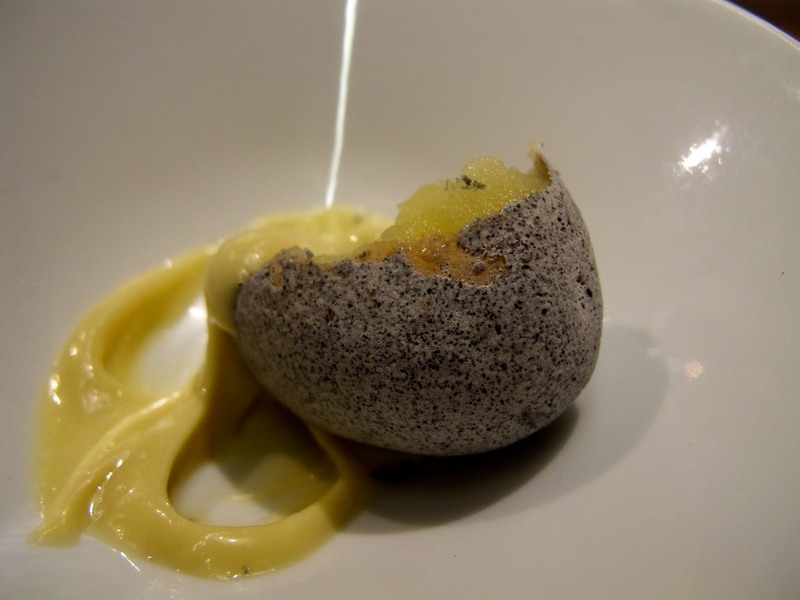 Rocks with dipping sauce. Jamie loves rocks, so this was right up her alley. They were actually small potatoes with a shell and dipped in fresh mayonnaise. Mmm, mayo. After that, the pace settles down to something manageable that reduces slowly over the course of 150 minutes. What follows are my best recollections of a wild evening. Not all of the pictures turned out so well, but I included as many as I could. 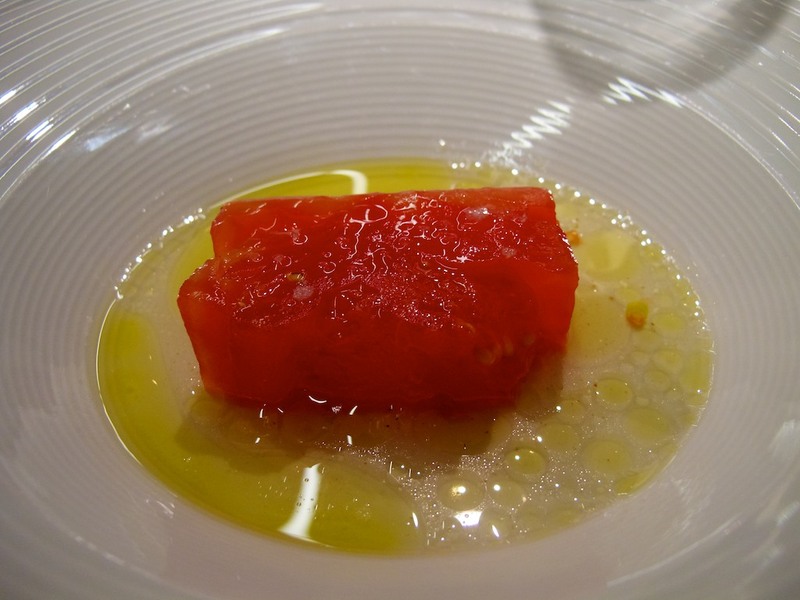 Home made honey vinagre, fermented barley and ripened heart tomato was so well plated that it almost looked like watermelon. Funny, because Alan hates raw tomatoes, but did taste it. 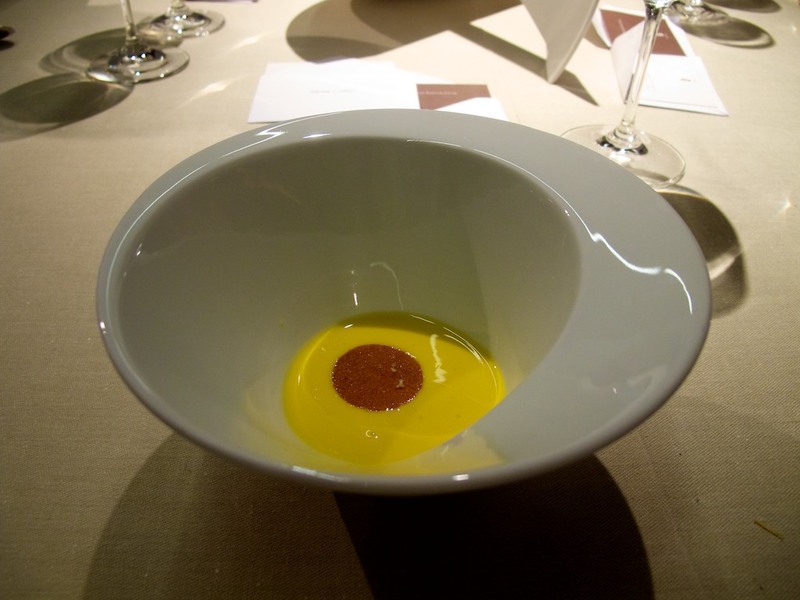 The honey vinegar was the real star of the dish though: the way it blended the vinegar flavor with honey sweetness. Fragant Fruit is billed as a mystery surprise – cardamom coated apple. Okay, I’m eating an apple. Sorry, I don’t get it. I ate most and patted myself on the back for being healthy. Now, we officially have a serious wow. 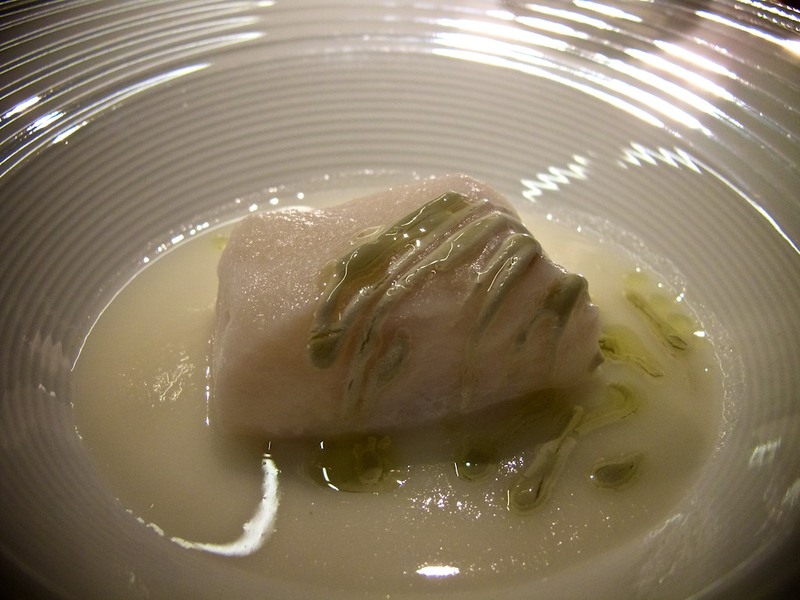 Over a gelatinous pine nut cream, glutinous, cod fish and mastic resin. 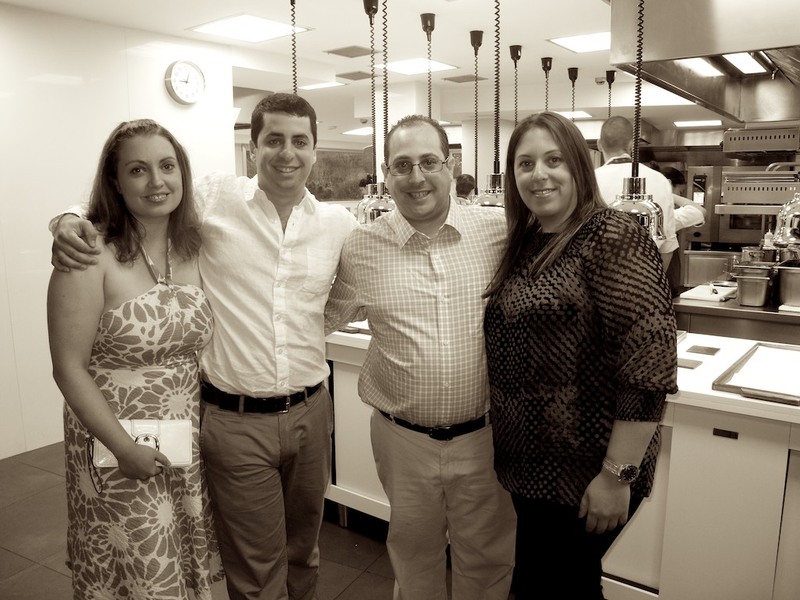 Jamie and Michelle loved it, too…and they are not tripe people. The menu still hadn’t arrived yet and the waiter was so hard to understand that the girls didn’t know they were eating tripe…or else they might’ve made the “this is weird face.” So they were conned into liking. It’s not something I would order, but should’ve. It was so tender it was almost like pasta but it was fish. I get it. I love it. What’s next? The corn cream that wanted to be mollusc is a corn soup, brightly colored that tasted like ice cold corn on the cob in liquid form. And then there was something else in there that I couldn’t place. Apparently that was the mullosc. 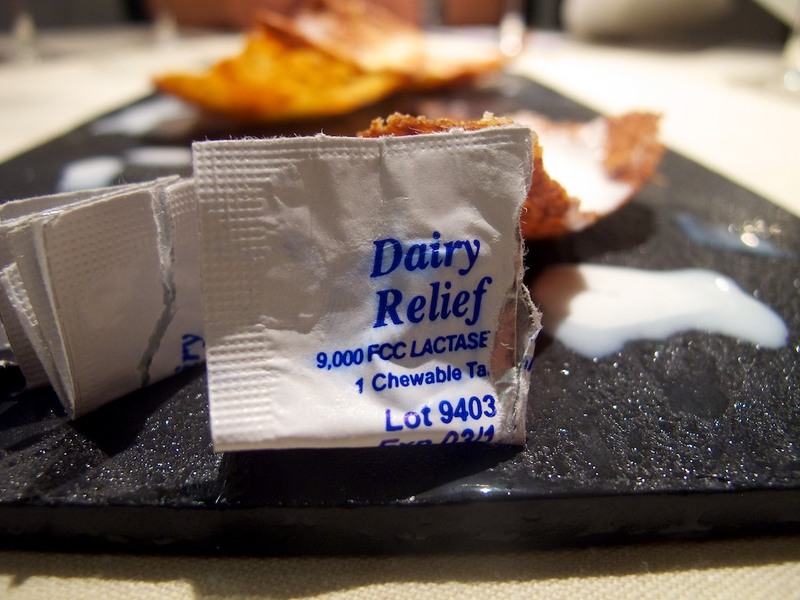 This next course was not listed on the menu, but very clever. 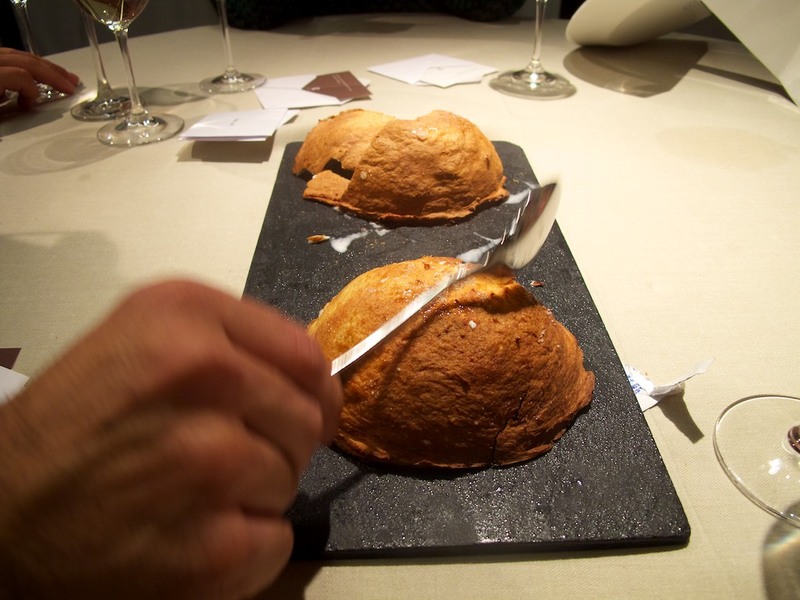 They make this weird bread that had a flavor reminiscent of biquick, and filled it with perfectly brun-wa’d [sp?] 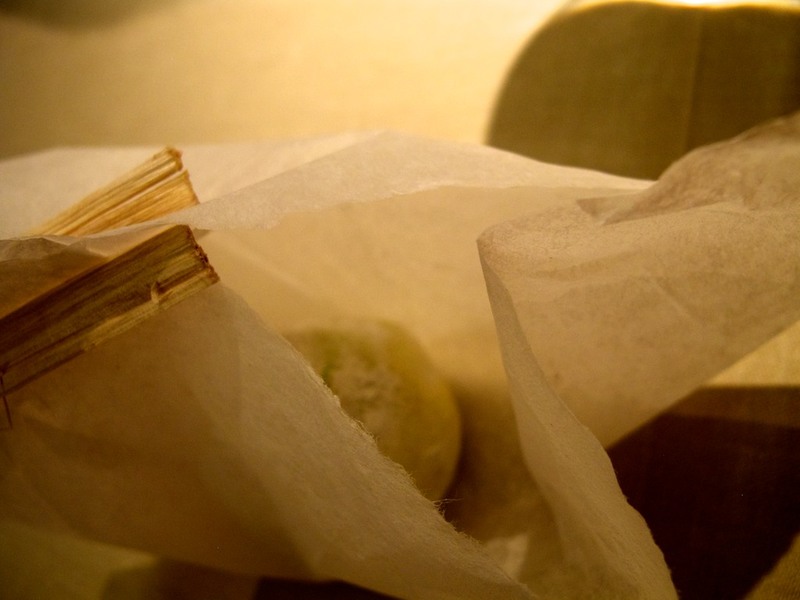 artichoke and bone marrow. Who thinks of a breadbowl of marrow and artichoke?? I loved it. And I got half of Jamie’s marrow. Wow. 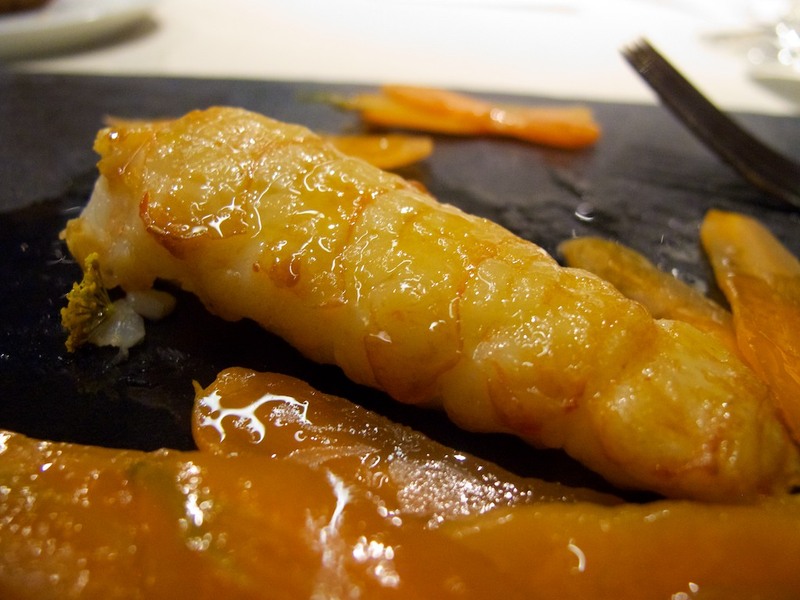 Langoustine covered of carot's petals perfumed with essence of anis. 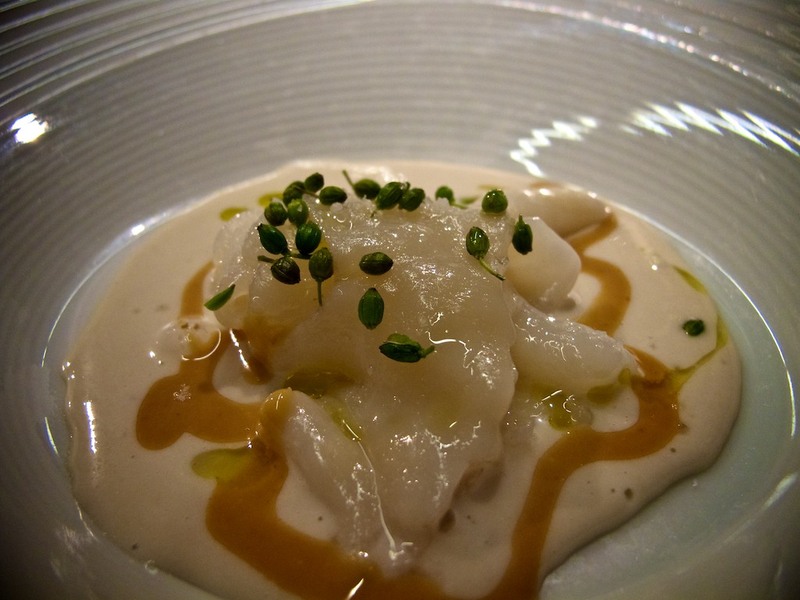 Langoustine covered of carot’s petals perfumed with essence of anis. 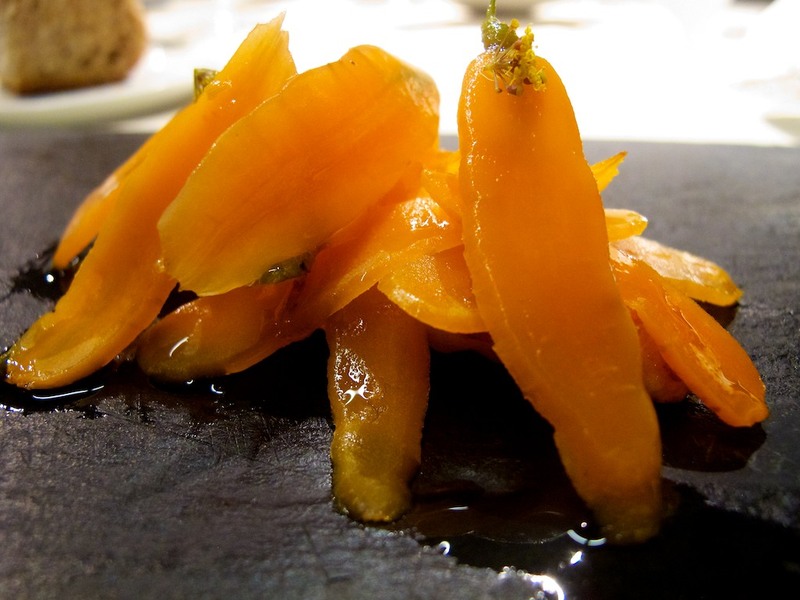 Carrots are my sworn enemy, but these were pretty good. And the langoustine tail underneath was thick, meaty and creamy. A.K.A. perfect. 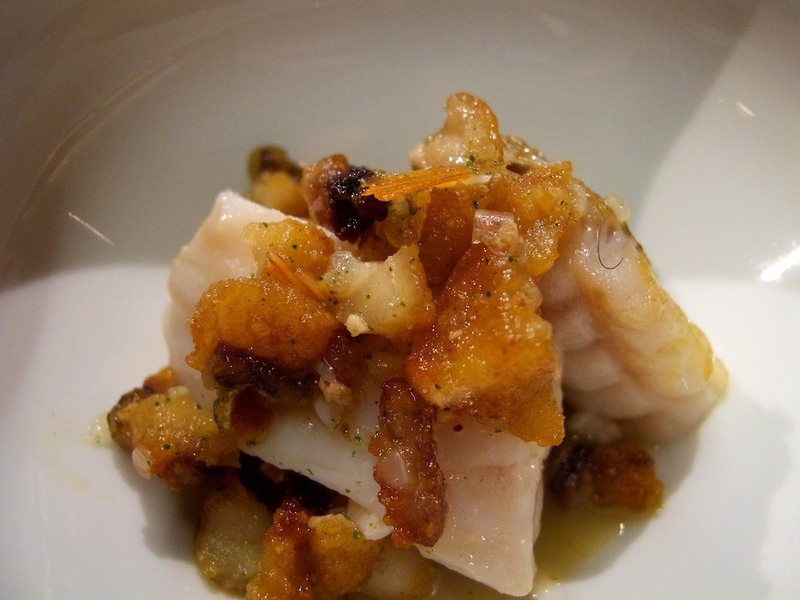 Fillet of hake and milky reduction of stewed cabbage sprouts. Luscious citrus spread. Fillet of hake and milky reduction of stewed cabbage sprouts. Luscious citrus spread. I wasn’t crazy about this dish. Glad to have tried hake as it’s fresh and local and on every other menu in town. 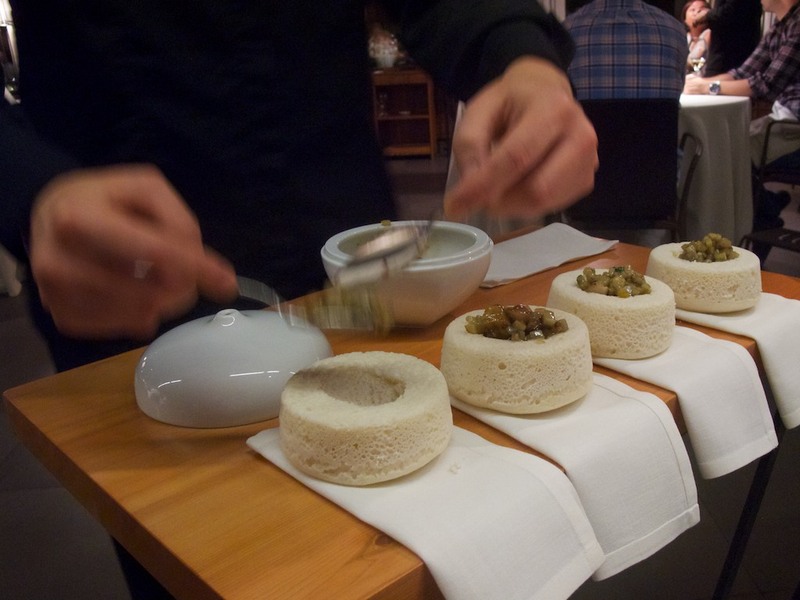 I liked it well enough, but in this context the dish was a little flat for me. Maybe because I ate most of Jamie’s, too. Michelle wasn’t into it and sent it back. Hey, they told her to send anything back that she didn’t like, so they asked for it. I was glad for her replacement was a pork noodle dish. Pork noodles – bonus – Were they going for unattractive plating here? 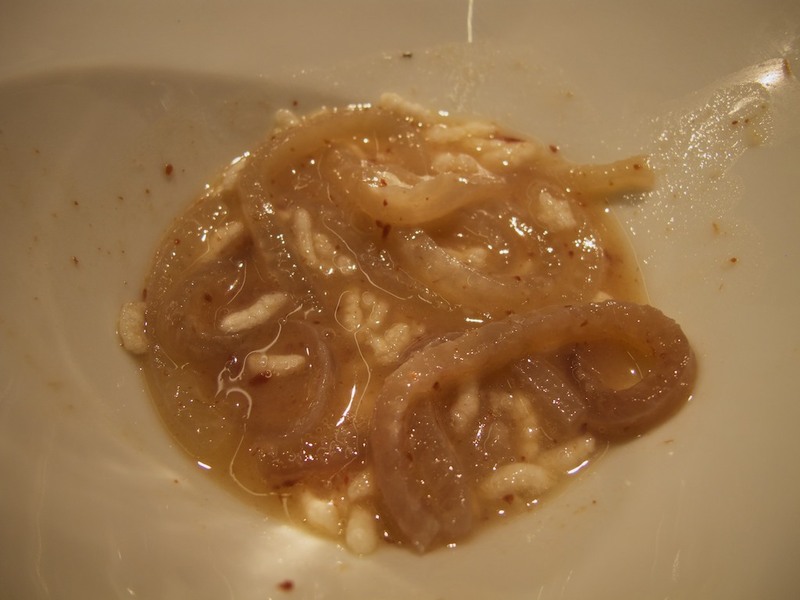 The scaly noodles were topped with a sort of puffed crisp that made it look like a bowl of worms and maggots. Tasted good though. Okay, I’m sold – send back whatever you want – they’re just gonna reward you with more food. Shhhhhh…Cat got your tongue! They introduce this as being “garlic, onion and another mystery ingredient – find it” I must go too quickly, because I missed the tiny little piece of tongue hiding in the nest. Dry, stringy and garlicky…Sorry folks, you lost me here. And what a reward! She was served this seared meat dish. I was in the loo when it arrived so I’m not sure if it was venison or beef, but Alan and I ate most of it on account of rare-ness. It was so good. Butery, creamy, delicious meat. Thank you, thank you! 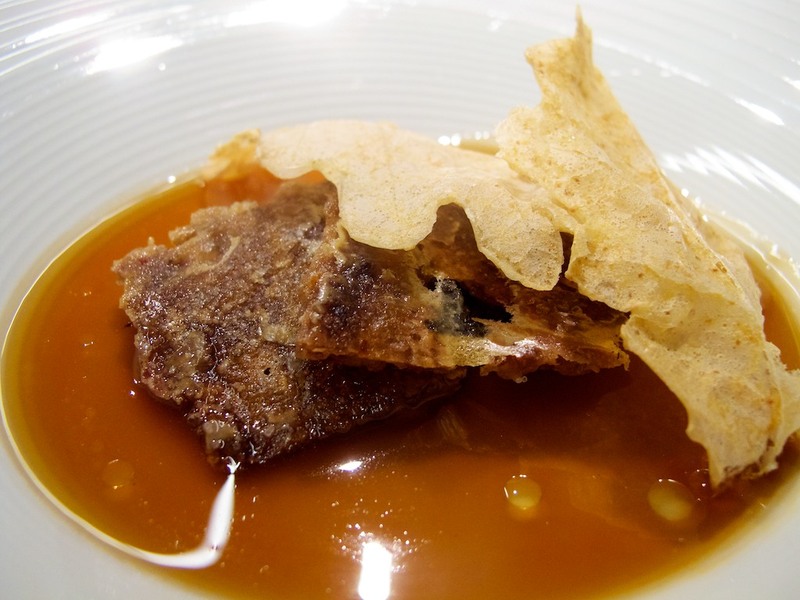 Iberian pork tails, crispy leaves and toasted sweet millet oil – this was a little odd. Crackly little pieces of pig tail with a gooey layer of fat on the back. I liked the taste and texture play, but the fat stuck to the roof of my mouth and in my teeth. That didn’t stop me from finishing Jamie’s order. I always appreciate a chance to try something new and funky like this. That’s the end of the savory, would you like anything else? 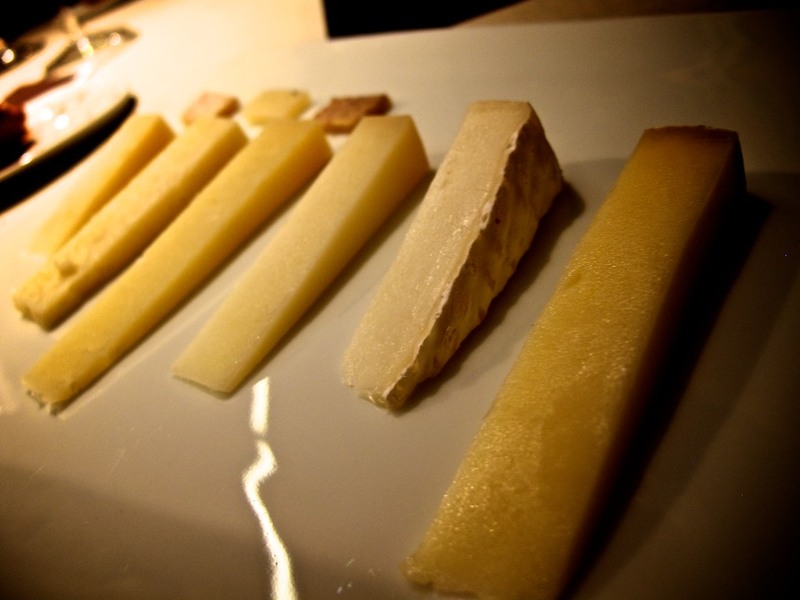 Why yes, we would like a cheese course. Jamie loves a cheese course. Who doesn’t? Okay, lactose intolerant Chad shouldn’t, but I took smaller tastes. Cheeses were all great. I’m not good enough to give you a blow by blow on cheese. It’s the forbidden fruit for me and I like all of it, right on down to kraft singles. Lemon cream with daikon radish and unsweeted sugar. 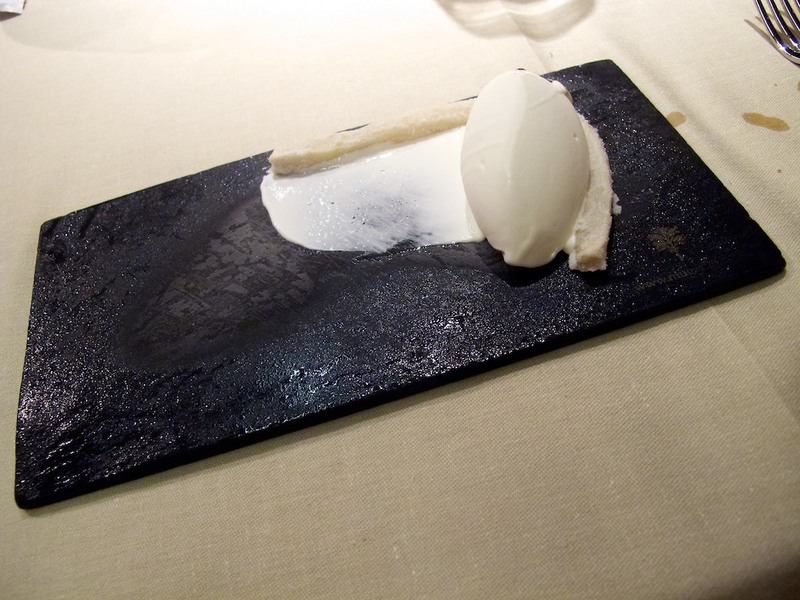 The ice cream was perfect, but the daikon radish just didn’t meld with it. It was interesting to see them try it and the first few bites are ok, but then the ice cream disappears and your chewing a daikon radish. I didn’t finish mine and gave the ice cream to Jamie. 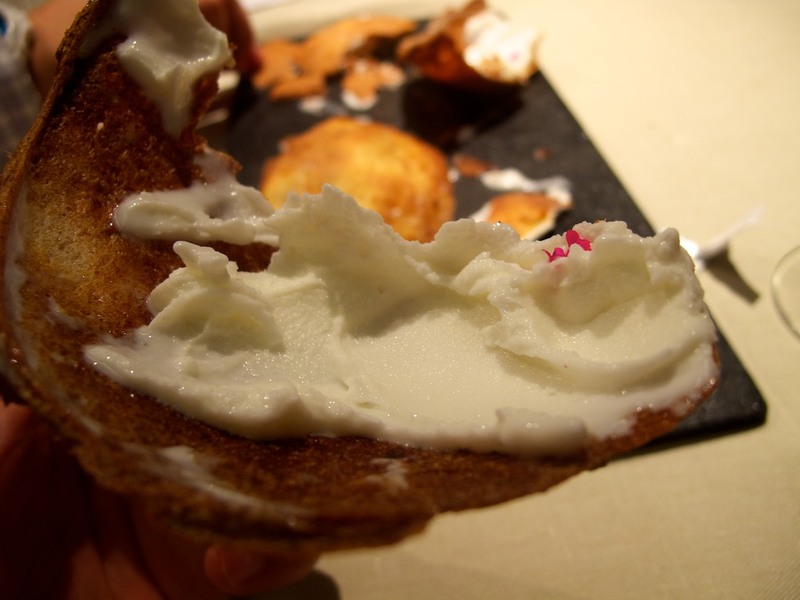 Broken walnuts, toasted and salted, cool milk cream and armagnac jelly was one of the best desserts I’ve ever had. The ice cream was unique and out of this world, with little bits of cheese inside. 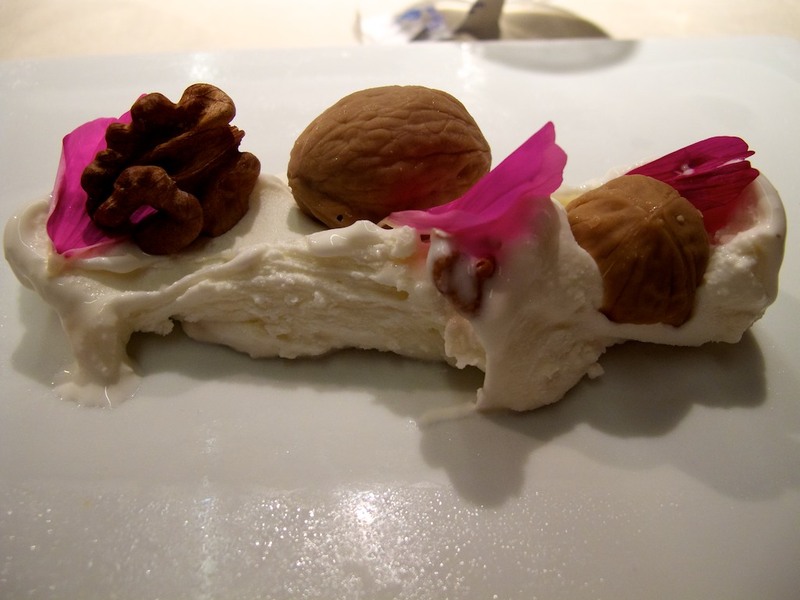 Some of the nuts weren’t really nuts but little confections made to look like nuts. Alan helped me avoid the one filled with armagnac. Again, exactly the type of food I came for. Crunchy grain biscuit and anise ice cream was a sort of baked alaska that they broke at the table and had ice cream inside of. Tasted like an ice cream cone. Meh. Things started to get a little weird here. The girls ordered coffee, but it didn’t arrive. Then they ordered another desert. We don’t have any chocolate, but we’ll see what we can do. Then we just sat. 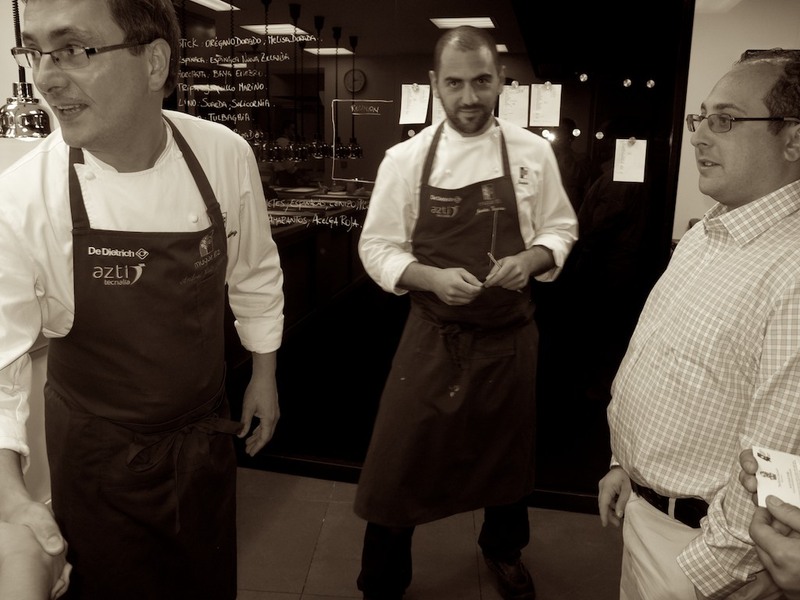 Is this more of that Spanish hospitality that slows down tremendously at the end of the evening? Because to me this is where you lose that elusive third Michelin star. Hell, this is where we were stuffed and rapidly growing impatient. And we just sat. My stomach is starting to protest. My brain is trying estimate the bill and I’m getting anxious. 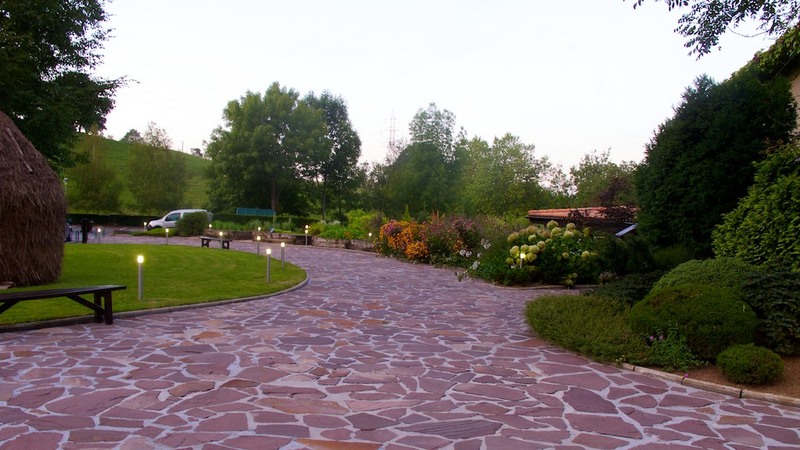 I excuse myself to get a breath of fresh air and take a moment to appreciate their courtyard. I come back and they bring a chocolate dish. It was ok, but I was passed stuffed. We asked for the bill and it finally arrived with the coffee. We were in a cab heading home just after midnight, 3 hours. Not bad. No, actually it was awesome. It just ended on an odd note. Would I go back? Unsure. If I was independently wealthy, it’d be a different story. 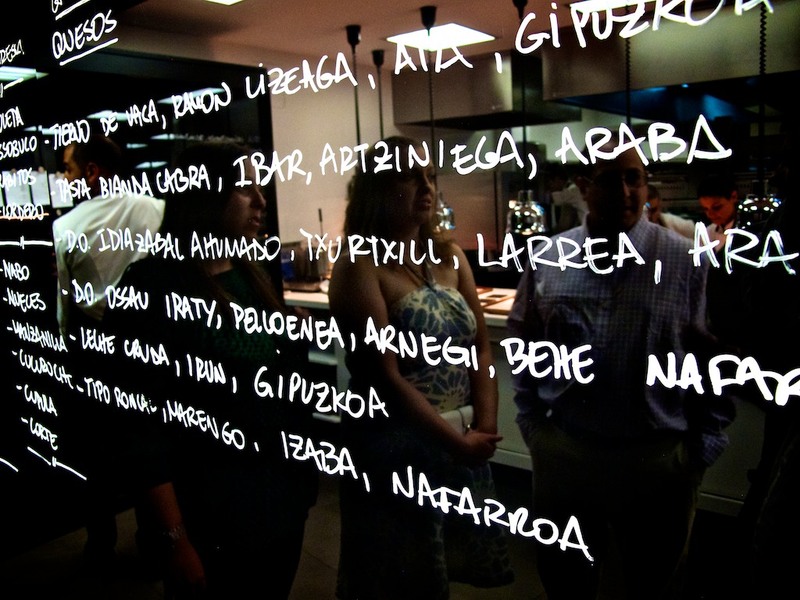 I’d probably try Arzak or Akellare next time, just for variety. Am I glad I did it? Absolutely. 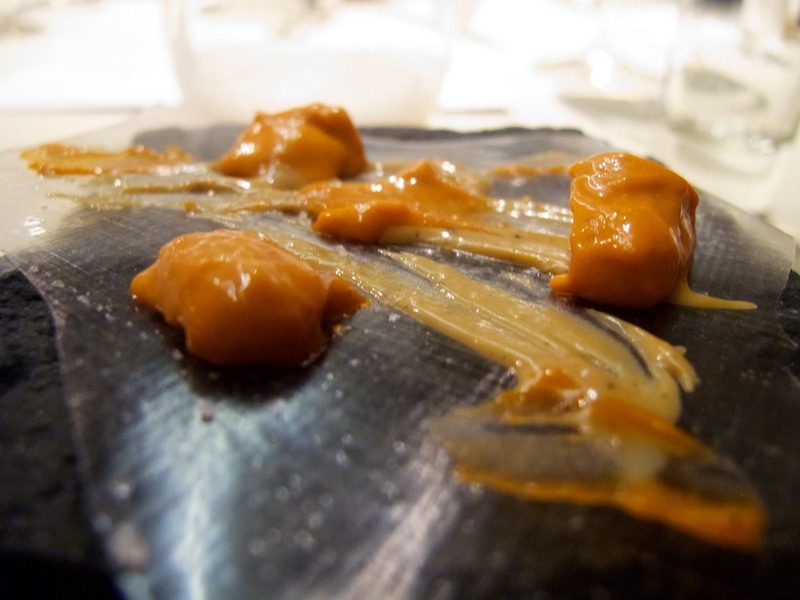 Restaurant magazine ranked Mugaritz as the third best restaurant in the world in 2011 and I can see why. I wanted an experience that I’d never forget and I got it. Chad, I am runing a contest on facebook. “Guess how much weight chad gained and win a free I pad” I am going with 11LB. Your posts have wet my appitite. I look forward to seeing you soon. As for the “Shhhh… cat got your tongue” dish, you didn’t get the point. 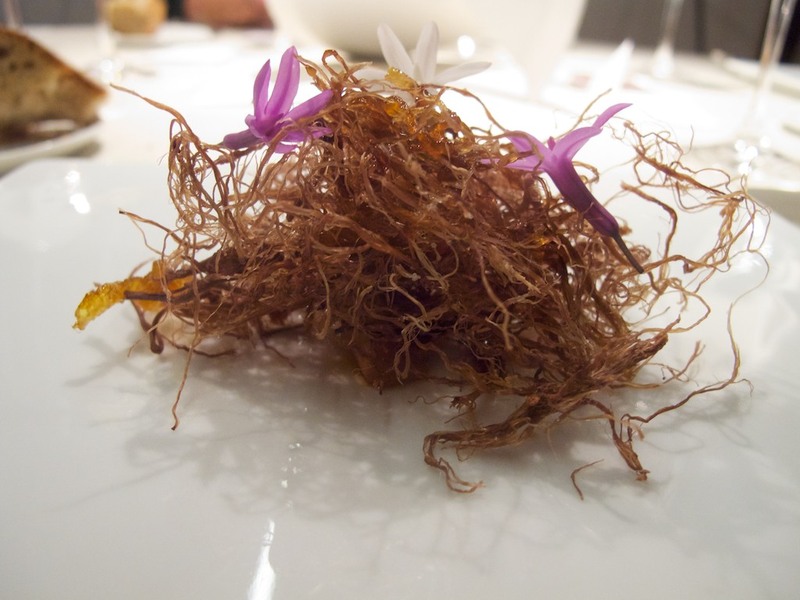 Dehydrated veal tongue, reduced to tiny little strings, was the whole dish – I mean, that sort of prairie shrub – with garlic and onion being only a dressing. The most interesting thing to me was the way meat texture had been completely changed and manipulated. 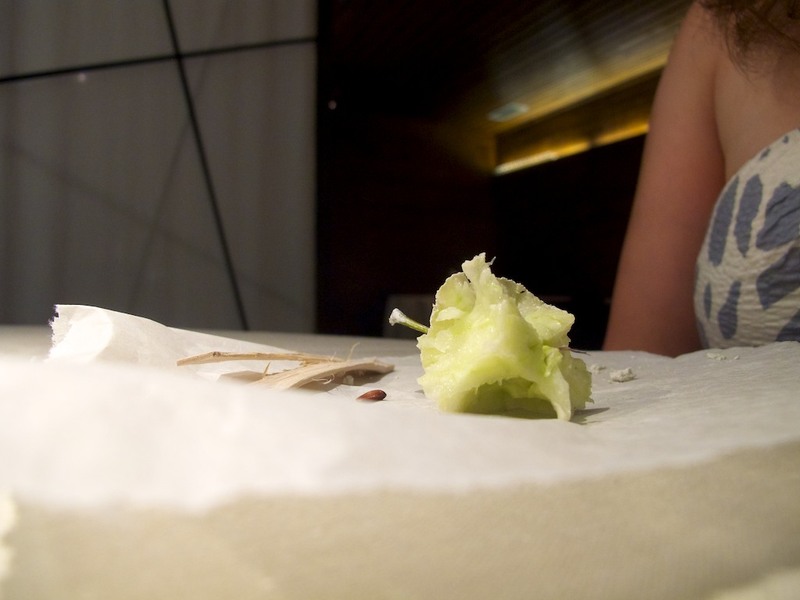 It was a playful dish, like many others at Mugaritz.